I was recently interviewed by David Lee, internationally recognized expert on employee performance. The topic was my book, The Dark Secret of HRD. We talked about how and why I came to write it and how organizations can transfer what is taught in the classroom to consistent performance in the workplace. Click here to listen to the interview on David's blog. David Lee is the founder of HumanNature@Work. He works with leaders interested in optimizing employee performance and customer service, through his work as a facilitator, consultant, trainer, and coach. He has worked with organizations and presented at conferences in the US, Canada, and Australia. 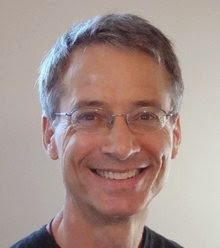 He is the author of Managing Employee Stress and Safety, Powerful Storytelling Techniques, and nearly 100 articles and book chapters on maximizing employee and organizational performance, which have been published in North America, Europe, India, China, and Australia. His article, "Why Your Employees Are Just Not That Into You," the third most popular article at TLNT.com in 2012, is a must-read for any leader desiring greater productivity and engagement.